My first 3d character study. It was always a dream to finally make a realistic 3d character. 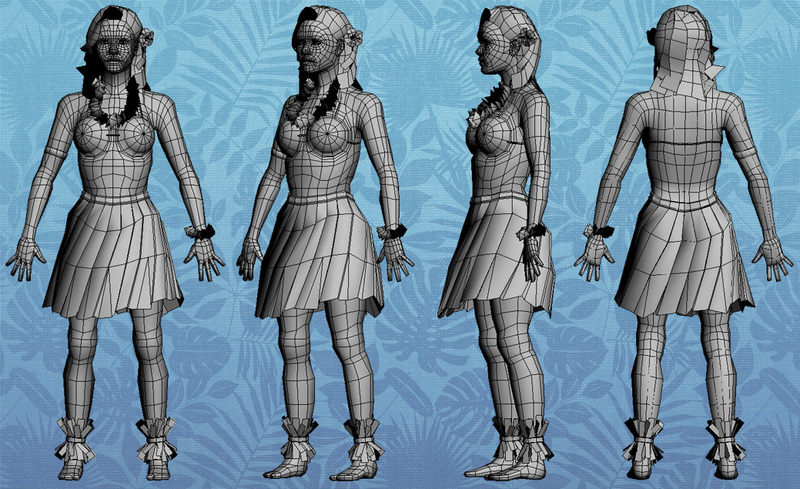 For my subject I choose a Hawaiian Hula Girl not the most likely character for a game but maybe someday there will be ukulele hero game and my Girl can star in it.